Marathon runners often get the befuddled look from the non-runner who cannot understand why you would want to run 26.2 miles. Also known as the "what are you f'ing crazy?" look. While I have pondered the notion of an Ironman, I must admit I have the same befuddled thoughts when I talk to an ultra marathon runner. After most of my races, my body cannot endure another mile so I can't fathom running another 24 or another 74. Insane. I have the utmost respect for someone that can run 50 to 100 miles. I'm not even sure what a 50K is. My respect meter hit a whole other plateau (not to be confused with my training plateau--that's another blog for a nother day) when I met Bob. I got to know Bob Alexander on twitter as @Heart_Inspired. Heart inspired indeed. Bob was attempting to run 100 miles (impressive) in 24 hours (more impressive) on a treadmill (insane or impressive...I'm not sure which) a mere two years after having open heart surgery (uber impressive.) Bob suffered from a congenital heart defect and underwent surgery in December, 2009. 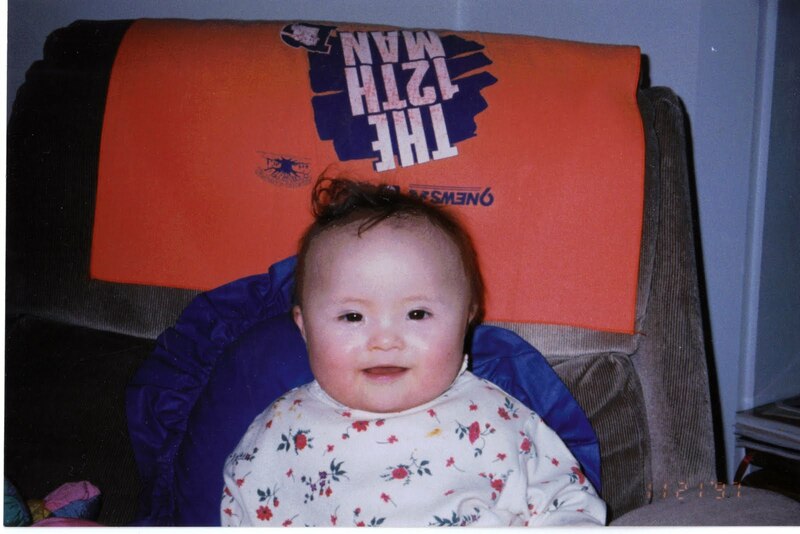 Bob's story struck a chord with me since my niece, Alana, was born with Downs Syndrome and a congenital heart defect. While most hearts have four chambers, Alana had one. She underwent heart surgery herself as an infant and had a hard time even pushing herself up off her stomach. She always wore a smile and unfortunately, our family lost our dear Alana before her first birthday. Given my connection to congenital heart defects, you can understand why I marked Bob's event on my calendar and felt compelled to go meet this guy. I only knew Bob from my online running world. I arrived an hour after he'd begun at Lifetime Fitness Center in Centennial, Colorado. All three of the local T.V. stations were there earlier, and I had Bob all to myself when I introduced myself an hour into his run. Akin to meeting a twitter or DailyMile run peep for the first time that you'd got to know in the virtual world, we both instantly connected once I shared by twitter name (seeksboston26mi.) He had a strategy to hit the 100 mile mark that he shared in the video below which included walk breaks. I was able to interview him and catch some big video during one of those breaks. Heart of Gold from Ty Godwin on Vimeo. Getting a second lease on life, Bob took to running after surgery and wanted to give purpose to his training. Bob was running 100 miles to raise money and awareness for the Lifetime Foundation which provides education and awareness for children's obesity and improved nutrition. Amazingly, Bob's condition went undetected until his adult years with a condition known as Severe Mitral Regurgitation--more than 40% of his blood flow was backwards. And this guy was going to run 100 miles on a treadmill? Impressive. Bob finished his 100 mile run the following after 26 hours, 16 minutes, and 24 seconds on the treadmill--think of that the next time you complain about having to move an outdoor run onto the treadmil. Bob also announced his intent on setting the world record for the greatest distance covered in one week on the treadmill, currently set at 468.04 miles. One amazing guy and one amazing runner. As runners we are fortunate to be able to run even a mile and for many of us, we are fortunate to run in some fantastic races in amazing cities around the country and world. If you haven't done it before, pick a race and pick a charity. It's amazing how much more meaningful a race is when you have a purpose above and beyond the training. We can learn a lot from guys like Bob. Wow! Thanks for sharing. You have a gift of many things, writing being one of them! Very cool. Going to follow Bob on Twitter right now.